Howard Feldman, MD, FRCP (C) was appointed Director of the Alzheimer’s Disease Cooperative Study (ADCS) in April 2016. 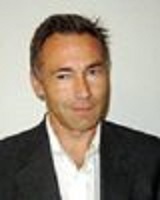 He is a clinical neurologist and Professor of Neurosciences at the University of California, San Diego (UCSD). Dr. Feldman came to the ADCS after serving as the Executive Associate Dean for Research at the University of British Columbia (UBC) as well as the Director of the Alzheimer’s and Related Disorders Clinic at UBC. He continues to hold an appointment as an Affiliate Professor with UBC. Dr. Feldman has made vital contributions in scientific discoveries and clinical research studies focused on aging, mild cognitive impairment/Alzheimer’s disease (AD), frontotemporal dementia (FTD) and diagnostic/therapeutic trials. He contributed to the discoveries of the progranulin (Nature 2006) and C9ORF72 (Neuron 2011) genetic mutations which cause FTD and FTD with motor neuron disease. He was involved in the development of important novel criteria for Alzheimer’s disease that re-conceptualize the disease and could lead potentially to earlier and more successful interventions (Lancet Neurology 2007, 2011, 2014). Dr. Feldman has led a number of international clinical trials in AD resulting in important original data and informing care across the continuum of the disease. His career contributions have been profiled in Lancet Neurology in 2007. In 2014 he was named by Thomson Reuters as a ‘highly cited’ neuroscientist and among ‘the world’s most influential scientific minds.’ He has been appointed as Fellow of the Canadian Academy of Health Sciences and the American Academy of Neurology in 2008. He has served as inaugural Fisher Family and Alzheimer Society of British Columbia Endowed Professorship for Research in Alzheimer’s Disease. 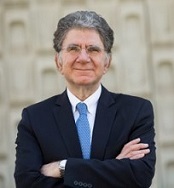 From 2009-2011, Dr. Feldman took a leave from his academic appointment at UBC to take on a senior leadership role as therapeutic area head for neuroscience global clinical research at Bristol-Myers Squibb, where his research focused on developing novel pharmaceutical therapies for neurodegenerative and other neurological/psychiatric disorders. Dr. Brewer received his graduate and medical training at Stanford University and his neurology residency training at Johns Hopkins University. He joined the Department of Neurosciences in 2004, in a joint recruitment of the Departments of Neurosciences and Radiology, and is a leading investigator at the interdisciplinary Multimodal Imaging Laboratory. Dr. Brewer’s primary research interest is human memory. He uses functional and structural magnetic resonance imaging (MRI) to study memory processes in volunteers with healthy memory and in patients with memory impairment, such as cases caused by Alzheimer’s disease (AD). This research focuses on the medial temporal lobe (MTL) of the brain, which shows selective damage early in the course of AD. The overarching aim of the work is to better understand the memory function of distinct MTL substructures and the nature of the interaction between those substructures and other brain regions. Dr. Brewer was one of the first researchers to show that functional MRI (fMRI) can identify distinct activations within the MTL. He and colleagues were the first to use the technique of event-related fMRI to identify brain activity that is directly related to the process of forming memories. In addition, Dr. Brewer teaches neurosciences and neurology to graduate students, medical students, and residents. He participates as a lecturer in courses on fMRI and memory, assists in neuroanatomy instruction for medical students, and is an active participant in the Neurosciences Graduate Program. 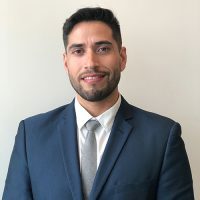 He is Co-Director of the UCSD Neurology Residents’ Clinic at the VA San Diego Healthcare System, where he advises and mentors neurology residents in clinical neurology. He is an attending physician at the UCSD and VA Medical Centers. In addition to his university service, Dr. Brewer is an ad hoc reviewer for several journals, including Neurology, Trends in Neurosciences, and Hippocampus. Dr. Huisa’s professional experience includes an assistant professorship in the Neurology Department at UC Irvine and serving as Director of the University of New Mexico’s Stroke Center in Albuquerque, New Mexico. He joined UC San Diego Health to become a part of the vanguard of medical care, discovery in medicine, and teaching. Dr. Huisa completed a fellowship in vascular neurology at UC San Diego School of Medicine and a residency in neurology at the University of New Mexico School of Medicine. Dr. Huisa earned his medical degree from Cayetano Heredia University in Lima, Peru. Dr. Huisa has also served as principal investigator and sub-investigator in many NIH and industry trials and has served on a Data Safety Monitoring Board (DSMB). He is a member of American Heart Association/American Stroke Association (AHA/ASA), the American Academy of Neurology, and the American Neurological Association. Dr. Huisa has published several peer-reviewed articles and book chapters, and is also a reviewer for many medical journals in neurology and neuroscience. Dr. LaCroix is Professor and Chief of Epidemiology in the Department of Family Medicine and Public Health at the University of California, San Diego. She is also the Director of the Women’s Health Center of Excellence at UCSD. She has an extensive research program devoted to studies on factors associated with healthy aging in older women and men. She has conducted numerous randomized clinical trials and observational studies on the prevention of cancer, fracture, heart disease, and frailty in postmenopausal, as well as large, prospective studies of exceptional aging and maintaining physical and cognitive function into later life. Prior to joining the faculty of UCSD in October 2013, Dr. LaCroix was Co-Principal Investigator of the Women’s Health Initiative (WHI) Clinical Coordinating Center at the Fred Hutchinson Cancer Research Center in Seattle, Washington. Her work within the WHI program includes evaluating the longterm effects of hormone therapy and calcium/Vitamin D supplementation on chronic disease outcomes including heart disease, cancer and fracture. She was also Co-Principal Investigator of the Data Coordinating Center for the Menopausal Symptoms: Finding Lasting Answers for Symptoms and Health (MsFLASH) clinical trials network, an NIA initiative to expedite the testing of new interventions for menopause symptoms. 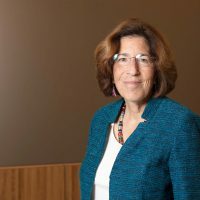 In addition, she continues work on healthy aging studies as a Senior Scientific Investigator at the Kaiser Permanente Washington Health Research Institute (KPWHRI) in Seattle where she has collaborated on the Adult Changes in Thought (ACT) cohort study investigating risk factors for cognitive health and dementia for over 20 years. Dr. LaCroix also lead an NIA-funded T32 training program entitled, “Improving Healthcare for Aging Women” at KPWHRI for the past 10 years. She served on the National Advisory Council on Aging for the National Institutes of Health, National Institute on Aging from 2009-2012. In 2010, she received the McDougall Mentoring award which recognizes and honors faculty members who demonstrate an outstanding investment in their mentees’ professional development and success as independent researchers or clinical scientists. In 2014, Dr. LaCroix was elected as a member of the American Epidemiological Society. She has authored over 380 scientific publications, and was selected as a Thomson Reuters Highly Cited Researcher in 2014. Tilman Oltersdorf, M.D. joined the Alzheimer’s Disease Cooperative Study (ADCS) in September 2015. He has extensive experience in academia and in the biotechnology industry, primarily in start-up companies. His background is both in preclinical and clinical drug development ranging from molecular neurosciences and molecular oncology to implementing and executing clinical studies. He made contributions to both Alzheimer’s disease research and cancer research as lead author of publications in Nature. His work in Alzheimer’s disease at Athena Neurosciences included studies of the biochemical pathways leading to Aβ-amyloid deposition in Alzheimer’s Disease brain. His work on cancer at Idun Pharmaceuticals in collaboration with Abbott Laboratories led to first-in-class Bcl-2 inhibitors that induce programmed cell death in cancer cells. A follow-on compound (venetoclax) received breakthrough therapy designation by the FDA, and was approved for use in chronic lymphatic leukemia. Prior to joining the ADCS, Dr. Oltersdorf served as Executive Vice President, Research and Development at Sonexa Therapeutics, a start-up company that developed an acetylcholine release agent for symptomatic treatment of Alzheimer’s disease. Dr. Oltersdorf received his medical degree from the University of Freiburg, Germany, worked as a resident in clinical Neurology and spent four years as a research fellow at the German Cancer Research Center in Heidelberg with Harald zur Hausen (Nobel laureate). 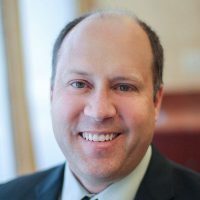 Dr. Rissman received his graduate degree in Neuroscience from Drexel University College of Medicine in 2001. He completed postgraduate training at the University of California, Irvine and at The Salk Institute, before joining the UC San Diego-Department of Neurosciences in 2008. Dr. Rissman’s work at UC San Diego is split into several parts that are balanced relatively equally. His lab in the School of Medicine at UC San Diego is focused on biomarker discovery in neurodegenerative disease such as Alzheimer’s Disease (AD) and Parkinson’s Disease (PD) using banked human samples and animal models. In addition, Dr. Rissman’s lab studies the mechanistic pathways that link PD neuropathology (e.g. synuclein) to AD in animal models. In addition to research at UC San Diego, Dr. Rissman is a Principal Investigator at the Veterans Administration (VA) San Diego and this research is focused on understanding how central corticotropin-releasing factor (CRF) neuromodulatory pathways interplays with peripheral stress signaling and contributes to neuronal vulnerability and AD neuropathology using transgenic mice, in vivo pharmacology, and human postmortem tissues. In addition to basic science translational research, Dr. Rissman is the Director for UC San Diego’s Alzheimer’s Disease Cooperative Study (ADCS) Biomarker Core and Alzheimer’s Disease Research Center (ADRC) Neuropathology Core. Dr. Thomas is a biostatistician with research interests in the following areas: Clinical Trials Design, Analysis of Longitudinal Clinical Trial Data, Visualization software, Clinical Trials Data Capture Software and Discrete Math Algorithms. 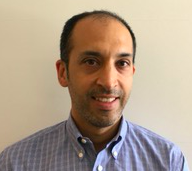 With a joint appointment in Neurosciences and Family and Preventive Medicine, he has played a pivotal role at the ADCS by serving as Director of the Biostatistics Core, which provides biostatistical expertise for the design, management, and analysis for ADCS clinical investigation. 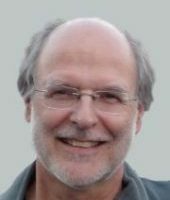 Dr. Thomas’s own research in Biostatistics and Bioinformatics encompasses four different methodologic areas: (1) developing methods for conducting power analyses in longitudinal clinical trials, with an emphasis on trials in which the investigators anticipate a large loss to follow-up or have issues of non-ignorable missing data; (2) defining algorithms for the efficient calculation of p-values in multidimensional contingency tables; (3) exploring the application of exact inference algorithms to a variety of problems in bioinformatics; and (4) conducting controlled research in medical informatics, which focuses on issues of validity and cost-effectiveness in the use of electronic data capture technologies in multi-center clinical trials. Creatively combining biostatistics and basic science, Dr. Thomas has established himself as an intellectual force in the design, analysis, and management of large-scale clinical trials. His exemplary leadership in this area is characterized by productivity in publication record and significant contributions to complex multi-site collaborative research efforts. Dr. Thomas is a member of both the NIA’s Alzheimer’s Disease Center Review Panel and the NIA’s National Alzheimer’s Coordinating Center Scientific Review Panel. Other important activities, within the UC San Diego School of Medicine, include statistical consultations and instruction to fellows and junior faculty. Carol Evans is the Chief of Staff of the ADCS, Director of Administration and Business Operations, and the Chair of the ADCS Data and Sample Sharing Committee. Ms. Evans is a member of the senior management team and is responsible for the daily administrative operations of the ADCS. Ms. Evans provides leadership and direction to all staff and sites and is a key professional responsible for working collaboratively with ADCS Core Directors and other colleagues to anticipate needs, streamline processes, and problem-solve systems to ensure best business processes. Ms. Evans is responsible for internal and external communications between ADCS units, campus departments, and internal and external constituencies including campus leadership, Unit Directors, Project Directors, Steering Committee members, UCSD Health divisions, NIH, NIA and other funding agencies. Ms. Evans leads efforts to develop policies and procedures to ensure the efficient operation of the ADCS, and provides project management, analytical support and leadership, budget resource management, including oversight of the annual operating budget. She serves as the ADCS representative regarding human resources, and facilities/space planning. Ms. Evans assists in developing new directions for the ADCS, including the unit’s strategy/mission statement, and is responsible for developing and implementing the ADCS’s strategic planning. 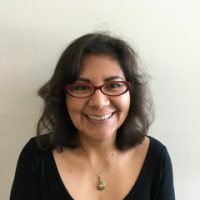 She is a principal advisor to the ADCS Director, advising and providing analytical support and leadership on a variety of projects of importance to the center. 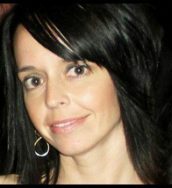 Jen Mason, M.P.H. earned a Bachelors of Science degree in Biology and Bachelors of Arts degree in Psychology from University North Carolina, Wilmington in 2003 and graduated with Master of Public Health (MPH) degree from San Diego State University in 2012. Ms. Mason began a career in clinical data management at a full-service CRO managing Phase 1- 4 dermatology studies. In June 2013, she joined the Alzheimer’s Disease Cooperative Study, where in her role, oversees the data management services for both industry-sponsored and investigator-initiated studies. Jen holds a post-graduate certificate in Clinical Research from University of California San Diego and is a Certified Clinical Data Manager (CCDM) with the Society of Clinical Data Management. As Director of Clinical Operations, Ms. Schafer oversees all ADCS clinical trial operations including Project Management, Regulatory Affairs, and Quality Assurance (QA) activities and reporting and IRB activities, she oversees the coordination of many of the activities for overall trial start-up and launch of individual participating sites on this trial, including protocol implementation meetings and investigator training meetings. 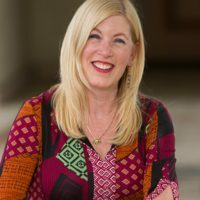 Ms. Schafer’s experience spans 26 years of clinical research program management in neurosciences and infectious diseases, including the Alzheimer’s Disease Cooperative Study, the Center for AIDS Research, and the HIV Institute, all located at UC San Diego. Her experience includes management of more than 30 Phase 1-4 clinical trials, including cooperative group, industry-sponsored, and investigator-initiated multi-center trials. She has been involved in the development of standards and processes for each of these trials, as well as overall Center management. Ms. Schafer brings a deep understanding of clinical trial operations as well as management of large, collaborative, translational research projects to the ADCS, lending strength to her team of Project Managers, Regulatory Associates, and QA experts. Baoyuan Zhao coordinates the ADCS–wide information systems activities including the development and tracking of projects. Mr. Zhao provides decision making support in aligning technical decisions with study research strategy. 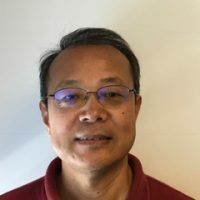 As Director of Information Technology, Mr. Zhao oversees his team which is responsible for managing regulatory and disclosures web tools, provides help desk support for systems and productivity software, and creates software tools which enable payments to clinical study sites as well as site monitoring tools. Dominic Alpuche, M.B.A. was most recently the Chief Business Officer for the USC Leonard Davis School of Gerontology, overseeing business and research operations with a budget in excess of $35 million. He earned his B.A. in Public Policy Management from USC and received an M.B.A. in Business Administration, Accounting and Finance from the Florida Institute of Technology. With over sixteen years of finance and research administration, he previously served as Assistant Director for Budget and Compliance for the USC Trio Programs and USC School for Early Childhood Education and as the Director of Finance and Technology for the Center for Urban education.